What Do We Know About Welsh Corgi Breed? Welsh Сorgi is an ancient small shepherd dog, which was originated in X century in Wales. Short height and good shape allowed Corgis to dodge horns and hoofs during cattle grazing. Сorgis watched the flock and clumped the animals by biting them for the legs. There are two distinct breeds: the Pembroke Welsh Corgi and the Cardigan Welsh Corgi. There is no official line of the name "corgi" origin. There are two popular theories. The main one connects "corgi" with the Welsh "cor gi", where "cor" is translated as a dwarf, and "gi" as a dog. According to the other sources, "corgi" was originated from the changed word "cur" - watch, guard and "ci" - dog. Several mystery legends are connected with Welsh Corgi's origin. Here is one of them. ...Corgis were donated by hill-people, which used them as sled dogs. 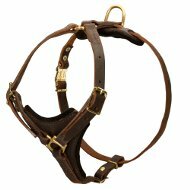 Some Corgis really have sled marks - light bridle lines on the muzzle and saddle contour on the back. Two children, who were grazing cattle on crown land, had founded a gift of little people for the first time ever. Boys thought these were little cubs and took them home wasted no time. But the parents told these were puppies and they had been presented by Welsh elves and fairies. They yoked the dogs to magic chariots. Corgi puppies were growing up with the children and were grazing cattle with them. Than Corgis' shepherds talent was brought to light. Sweet short-legged dogs were used not only as shepherds, but also as guardians of pets and children. Welsh Corgis became the ideal family dogs. We first heard about Welsh Corgi at dog show in 1925. Then Corgis were just farm dogs and they didn't pay much attention. Further breeding made Welsh Corgi incredibly popular. The Pembroke Welsh Corgi and the Cardigan Welsh Corgi are considered to be one dog breed for a long time, but they were divided into two separate breeds by AKC in 1943. Welsh Corgis' popularity is much owed to Elizabeth II. She has being a devotee of this dog breed for many years. First Welsh Corgi puppy appeared in the royal palace when Elizabeth and her sister Margaret were small princesses. Their father, the Duke of York, decided to gladden his daughters by bringing them small Welsh Corgi. The dog became a faithful companion and a symbol of royal family since then. The first Welsh Corgi Susan of Queen Elizabeth own was given as a present to her 18th birthday in 1944. This was the royal dynast Corgi dog. 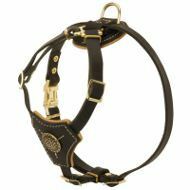 All the further offsprings of the dog are registered by the Kennel Club with the prefix "Windsor". Elizabeth II had been breeding Welsh Corgis and became one of the best breed experts since then. The quantity of Welsh Corgis, which were living in the royal palace throughout all the time were from 2 to 8. Today Elizabeth II keeps only two pets of her favorite breed and she has returned recently that the quantity of the dog's won't grow because she's afraid of knocking against the dogs and to suffer an injury. Welsh Corgis are the smallest representatives of shepherd dogs. They have long and stocky body, short and strong legs. Corgis are frisky dogs. The height of the Pembroke Welsh Corgi is about 25-30 cm, the height of the Cardigan Welsh Corgi is 30 cm. The first ones are 10-13 kg in weight, the second ones - to 14-15 kg. Two kinds of Welsh Corgis - Cardigan and Pembroke, were named for the country in Wales, where they were originated. They are in a marked contrast to each other by bone structure, head form, body length, coat, color and size. Cardigans are larger dogs with large rounded ears, wide breast, straight back and long tail in one height with the body. Cardigans' legs are a bit longer than the Pembrokes'. The Cardigans are allowed more colors than the Pembroke, but white shouldn’t predominate in its coat. The Cardigan has double coat. The outer coat is dense and of medium length, the undercoat is soft, short and thick. 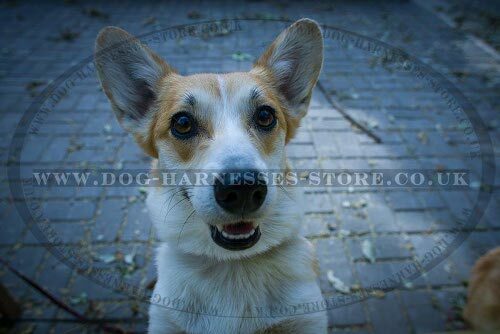 Cardigan Welsh Corgis are sturdy, active, noble, intelligent and inspiring respect dogs. Pembroke Welsh Corgis induce joy and tenderness. They have a fox-like sweet muzzle, its contrast color looks like a smile and that is not to deny. 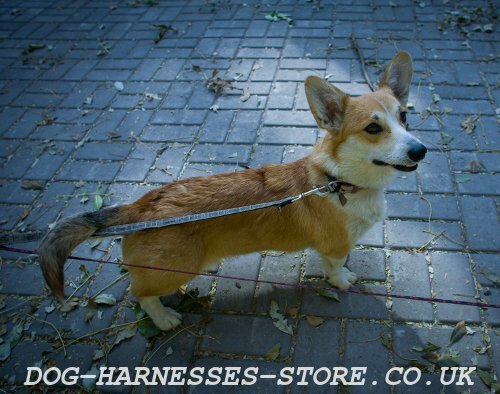 Welsh Corgi Pembroke looks more elegant and light-weighted than Cardigans. 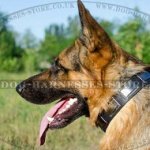 Their lags and height are shorter and their ears are feature pointed. Short tail is attained through breeding. Pembrokes are strong enough, hardy and smart, with spacious intellect. But the main external features of Pembrokes are their kind hazel eyes and playful look. No One Can't Take the Eyes off Welsh Corgis! Thick silky coat of Welsh Corgi is of medium length and of luxurious shine. The most popular colors are red with white markings, tricolor, sable, black, fawn or brindle. White collar, light markings on the head, legs and belly are allowed. Pembroke's head and ears are a bit lighter than the whole body. It's often spoken than Welsh Corgi is a big dog in a small body. 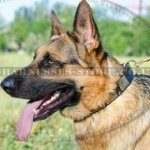 These dogs are distinguished with inborn intelligence, true feelings to people, kind-heartedness, tenderness and great sense of humor (it's pointed in a breed standard). Corgi has a huge animal spirits, well-balanced mind, good health, spacious intellect, charm, spirit and goodwill. Welsh Corgi is sensitive, tender and is completely bound up to the owner and love his (her) family. Corgi agrees well with other pets in the house and is loyal to strange animals and people. Welsh Corgis love children, but it's better to adopt the dog when the child has grown up a little. Corgi keeps the distance with those, who don't like it. In spite of the fact that Welsh Corgi is ready to tag along behind the owner, the dog doesn't bother him (her). Corgi feels perfectly when it needs to leave the master alone and when it may be stroked or show its moods or pay maximum attention to the owner. Corgis' intuition astonishes sometimes. Welsh Corgis are perfect actors, they can make everybody smile with their muzzle expression. These dogs exude kindness, joy and unquenchable optimism. Welsh Corgi adores long walks, but it won't demand the continue if the owner decided to stop the entertainment. The dog is always willing to please the owner. Corgis need regular physical and mental exercises. They are good nannies for children, dogs and cats. These dogs are very sociable, they always need a company. Welsh Corgis are versatile and amazingly intellectual companions. 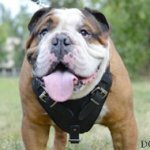 The dog will become the best friend of the person, who likes active outdoor games. Corgi is very quiet at home, as a rule. It doesn't prevent the owner to go about business. 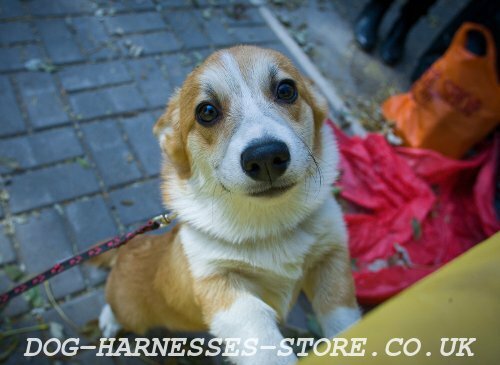 You feel easy, comfortable and calm yourself with Welsh Corgi. The dogs are absolutely unpretentious - they can have a rest in a cool place instead of lying on the sofa or pillow. Corgis are not bad guardians. They suspect strangers, bark if the stranger comes close to the house. In spite of Corgis' tiny sizes, they behave like real defenders, protecting their family even from large dogs when necessary. It's not uncommon when Corgi uses its enchantment to manipulate the owner. You have to stand your ground in this case. As for mischievousness and unforgivingness - the dog has no these qualities. Cardigans are more quiet and cautious then Pembrokes. They always weigh all the pros and cons before doing something. Pembrokes are hot-blooded and spontaneous. They are very active and need dynamic and exciting occupation for their spare time. Welsh Corgi training is easy, even in spite of shepherd dogs streak of obstinacy. They remember commands from the second-third time. 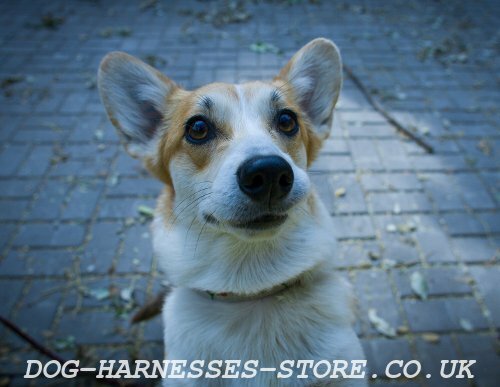 Corgis are trained with pleasure to perform circus acts, tricks, dances, flyball and agility. 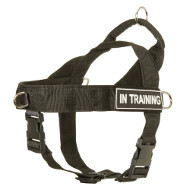 But you have to mix-up training sessions to the maximum so that the dog's haven’t' loosen their interest. The dogs bark not very often, only when they meet an agreeable person, the owner or walk-in guests. Some dogs sing "Corgi's songs" - its funny yawling, which is performed once as a greeting. By no stretch of the imagination you can correct these dog's manners. It's rather easy to take care of Welsh Corgis. You need to comb the dog's hair out from time to time (twice a week). Just do it oftener when Welsh Corgi is shedding. You have to brush your dog's teeth and clean its ears regularly. Take care of Corgi's ration and physical loads. Bathe your Corgi if it's necessary, use only high-quality dog shampoo. Short-legged dogs adore examining everything new: paths, places, flavors, that's why change your walk ways whenever it's possible. Excessive weight is not allowed for Welsh Corgis because of their long body, because overweight may cause problems with the backbone and lead to apathy. 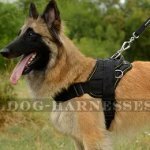 Don't allow the dog to jump up and down because there is a risk to hurt back or paws. As for feeding, be very attentive and keep a good look-out of your dog' ration because all Corgis may overeat. You have to resist the nicety of sweet beggar otherwise it may turn into a slow-moving animal with excess weight. Welsh Corgis are very talented dogs, they may be used for cattle grazing, rats and small game hunting. 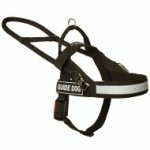 They are good tracking and guide dogs for hearing-impaired people. They help to recover patients by means of animal-therapy. Welsh Corgi is an outstanding example how to be thankful for small mercies. We need to steal a page from their book. Certainly, all the mentioned above dignities and love of Elizabeth II brought cinematographic popularity to these dogs. Welsh Corgis played in "Jeeves and Wooster" "Robinson Crusoe", "Johnny English", "The Queen", "King Speaks". 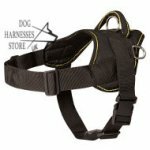 The best dog walking and training harnesses for Welsh Corgis, click on the pictures! 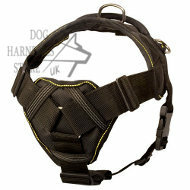 See also dog grooming supplies for your Welsh Corgi in our online dog store.